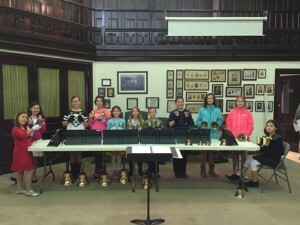 The Handbell Ministry of Trinity Church is a 37 year old tradition which offers a unique Christian musical experience. 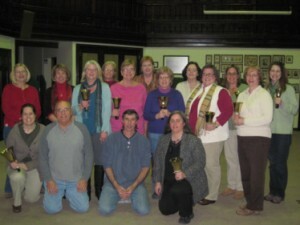 Joining a Trinity Church Handbell Choir is a commitment to God, your church, your fellow ringers and yourself. 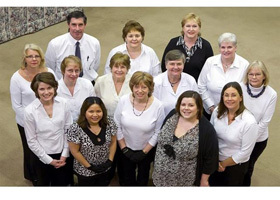 Trinity Church has four handbell choirs that provide a rich variety of beautiful music under the direction of Jill Fedon. 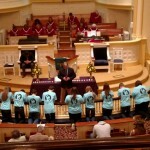 Music performances occur during the 10:45 service plus holidays from September through June. Visit the Trinity’s Handbell Choirs scheduling website for additional information. Newcomers are always welcome! Please contact Jill Fedon for more information. Trinity Ringers – Tuesdays, 7:00 – 8:00 p.m. 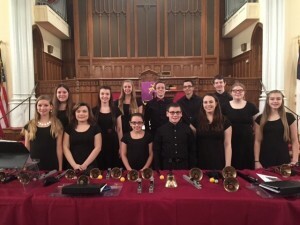 Brick Church Ringers – Tuesdays, 8:00 – 9:30 p.m.
Peace Ringers – Thursdays, 5:30 – 6:15 p.m.
Agape Ringers – Thursday, 7:30 – 8:30 p.m.
A more recent addition to the handbell choirs at Trinity, was founded to meet an increased interest in worshipful handbell ringing. Along with the three other handbell choirs, they contribute musically and spiritually at the 10:45 a.m. service from September to June. The youngest of our four handbell choirs, and they offer music on Sundays during the 10:45 a.m. service. 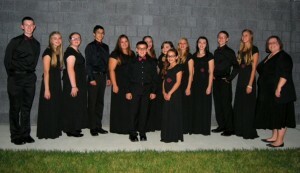 Consisting of middle and high school students who offer their musical talents at the 10:45 a.m. service on Sunday. 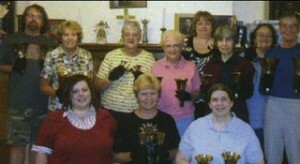 are another musically, gifted handbell choir that offers their services at the 10:45 a.m. services.